We have shared many posts on how to grow specific vegetable in garden pottery. 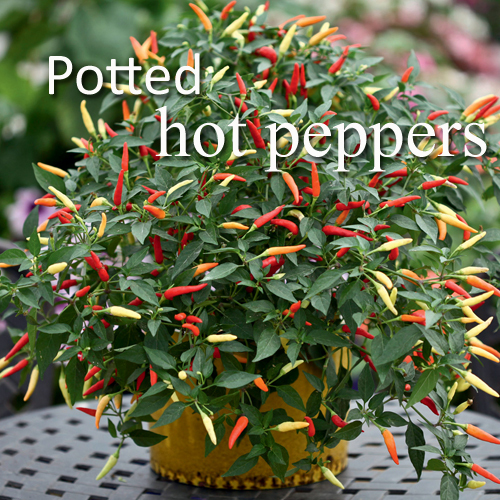 In this post we are focusing on Potted Hot Peppers! Many people are growing their own potted vegetables and finding out how easy it is to do. No pesticides, no traveling for mile in a truck, no imports from other countries. 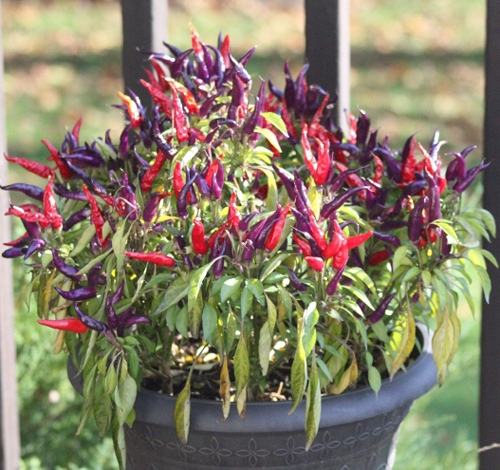 When it comes to wanting to make your own salsa, or spicy tomato saucers there is nothing easier to plant and harvest than Potted Hot Peppers. They come in a lot of shapes, colors and spiciness. You can preserve them by fermenting, pickling, drying and freezing them if you harvest an abundance. If you are bold you can eat them, stir fry them, stuff them and bake them. Ideally Hot peppers are grown from seed. Start them indoors about 8 to 10 weeks before your last frost date. Transplant them outdoors when frost danger has passed. When it comes to growing them in a garden planter you will find that they don't need a lot of space. Make sure the garden container you do use is 10" deep or more and if you live where the climate is warm go even bigger. That way you will water less and they will have more room to grow. Fill each garden container with potting soil. Add fertilizer and water peppers well after transplanting them. Keep the soil moist during the growing season and don't let the soil dry out. 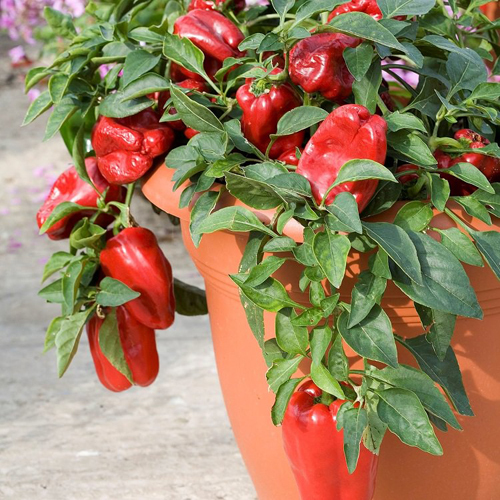 Potted peppers will flower and continue to produce fruit till the outdoor temps dip below 50 degrees. Move the pots indoors if you can and place in a warm spot. You can keep them producing by picking the fruit as it begins to turn color. They will continue to ripen after picked. 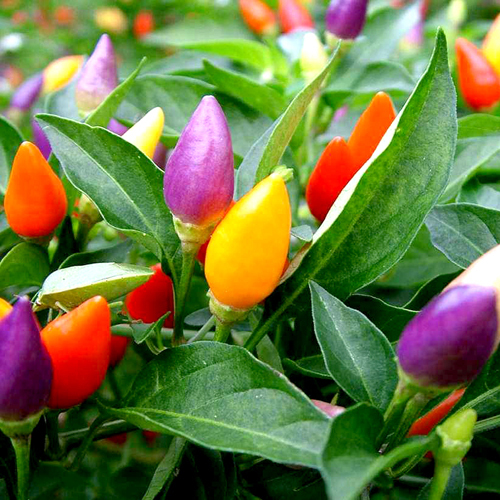 The best time to harvest potted Hot peppers is when they are plum and just beginning to color. If you wait till they are completely colored there will be more sugar in the fruit and the plant will produce fewer peppers. Lastly, watch out for enemies. Aphids, flea beetles, weevils, spider mites all love these plants. Treat them if you see this happening. So try potting some of these colorful, and tasty plants next time you are looking for something different to plant. They are a uncommon addition to any porch or patio decor.